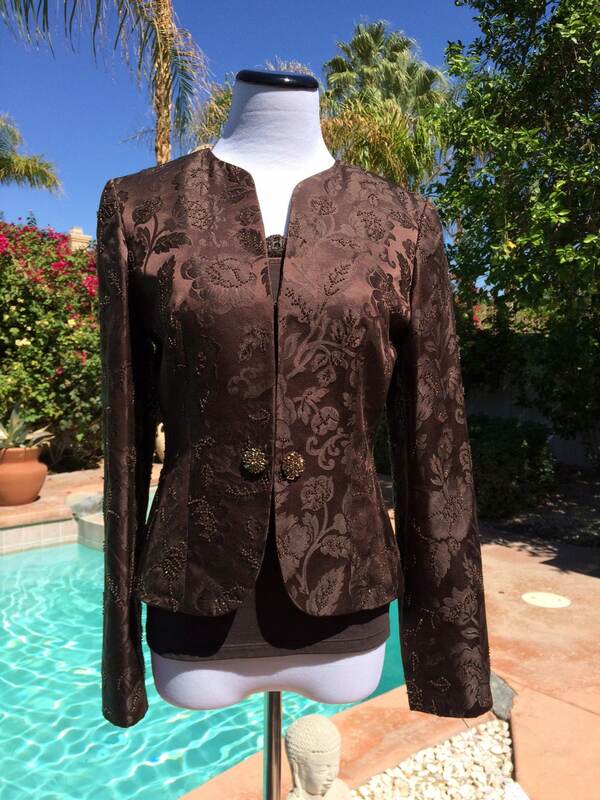 Beautiful Ann Taylor Loft,2 Piece Jacket and Top,Beaded,Diamanate Buttons,Size 2. 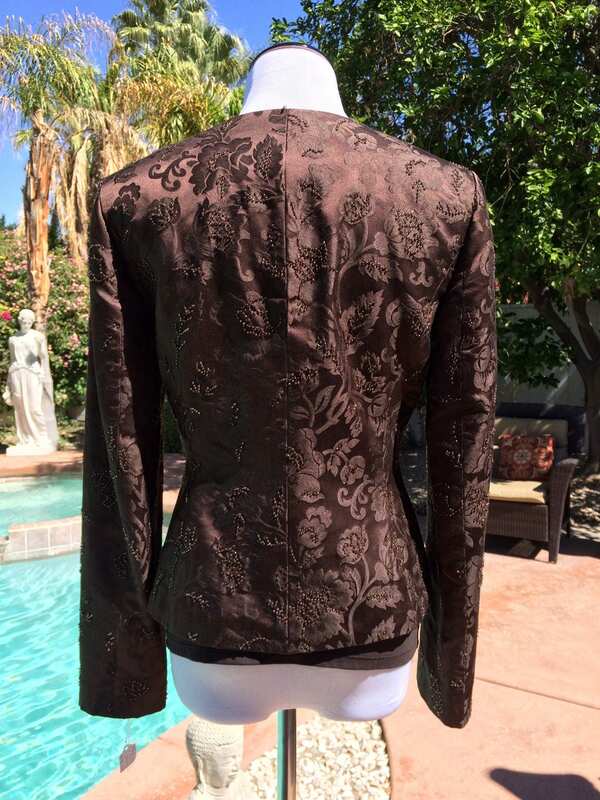 Elegant 2 piece Dark chocolate colored top and jacket. 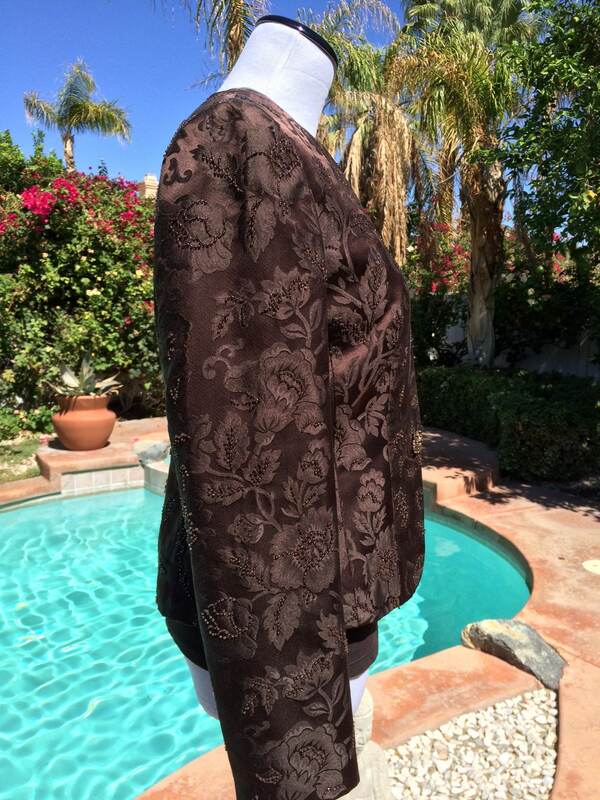 The jacket is 100% silk, and is fully lined. It has beautiful bead work throughout and 2 sparking diamanate buttons. 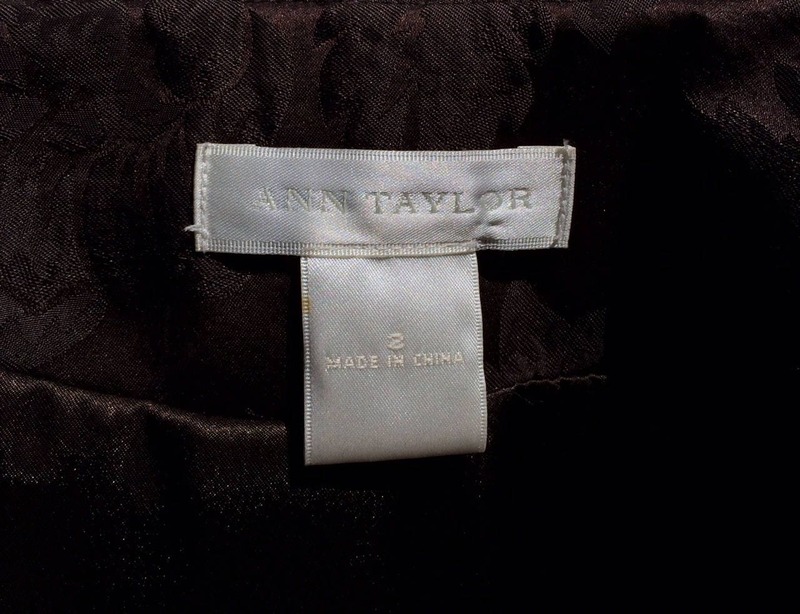 The accompanying top is a polyester blend,has some stretch to it and has sequins at the top of the tank top.The label reads Ann Taylor Loft and is a size 2. Shown on a size 2 mannequin so is true to label size.